A homeless man, Danny Arnold, 40, has not been charged with the animal's death, but a judge granted a protection from harassment order against him in connection with incident. A homeless man from the Portland area has been barred from stepping foot on the Smiling Hill Farm property following the killing of a pregnant goat in February. Police say the goat was shot by an arrow fired from a crossbow. A judge in Cumberland County District Court approved a one-year protection-from-harassment order filed by Smiling Hill Farm against Daniel J. Arnold, 40. 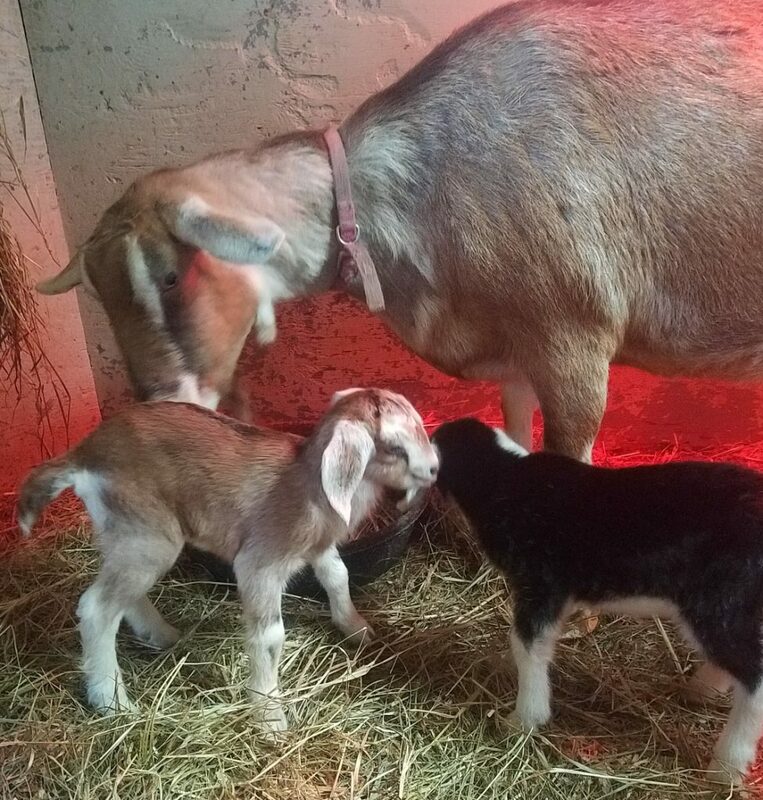 Arnold has not been charged with killing the Toggenburg goat named Ava. However, police investigated Arnold in connection with the crime, and a witness reported to investigators seeing Arnold walking out of the woods around the time of the killing, carrying a crossbow, according to court records. Arnold had also been reported to have killed animals needlessly before, according to an earlier criminal case. The goat was shot sometime overnight on Feb. 17-18 during a snowstorm, according to police. Its body was discovered the next morning during feeding. Game wardens determined that Ava was killed by a crossbow bolt, the short arrows that a crossbow fires, according to court records. While investigating the goat’s death, officers from Westbrook and Scarborough police received a tip that Arnold had been seen walking out of the woods with a crossbow on Feb. 17. Scarborough police, in cooperation with Westbrook officers, located Arnold at a campsite near the Stroudwater River off Cardinal Street, about 1.7 miles from Smiling Hill Farm, according to court records. After police found Arnold, he showed them his crossbow, but he denied killing the goat and, despite the witness report, said he didn’t have the weapon with him that night. Although police did not have enough evidence to charge him with the goat’s death, he was arrested for possessing the crossbow. Arnold was on probation from a May 24, 2017, conviction for aggravated assault and criminal threatening, and was not supposed to have any dangerous weapons. Arnold was arrested Feb. 23 on the probation violation, and remains in Cumberland County Jail in Portland. He declined to be interviewed Thursday. The aggravated assault charge stemmed from an incident in Portland’s Bayside neighborhood Aug. 26, 2016, when Arnold and another man, Michael Wilbur, began to argue near Cedar Street, and Arnold brandished a pellet gun and a knife, according to court records. Wilbur threw a punch but was stabbed by Arnold and required stitches, according to police reports. Wilbur told police that he and Arnold had been at odds with each other ever since Wilbur and a group of other people he was living with kicked Arnold out of another wooded campsite a few years earlier. Arnold’s criminal history in Maine dates to 2009, and includes multiple convictions on weapons charges and assault, according to the State Bureau of Information. Smiling Hill Farm is located off Route 22, also known as County Road. It raises dairy cows and offers a wide selection of dairy products to consumers, including milk, ice cream, cheese and yogurt. During the winter, the farm offers more than 25 kilometers of groomed cross-country ski trails. It also operates a seasonal barnyard animal exhibit. The farm is so large that parts of it lie in Scarborough, Westbrook and Gorham. It was founded in 1720 by the Knight family and was known for years as the Knight Farm before being renamed Smiling Hill Farm in 1974.